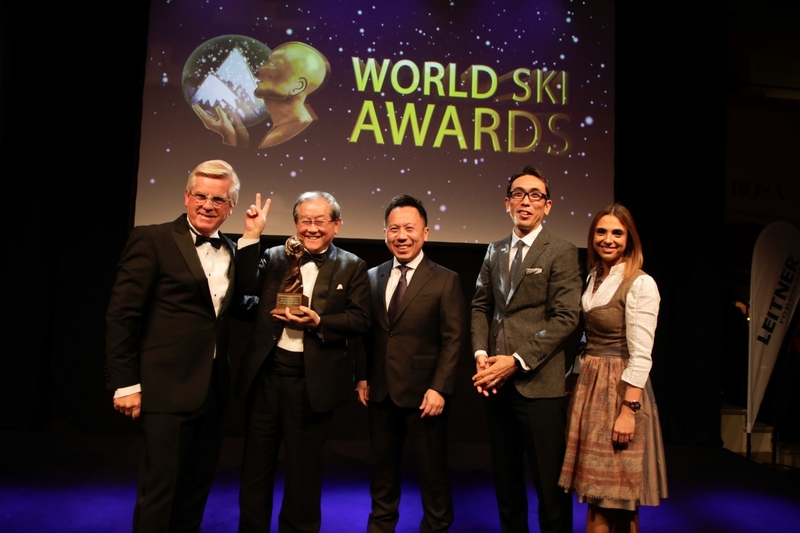 On 17th, November 2018, Rusutsu Resort successfully defended it titles of, Japan’s Best Ski Resort and Japan’s Best Ski Hotel, at the prestigious the World Ski Awards. After triumphing in two distinct categories at the World Ski Awards 2017, it is a remarkable achievement to retain both of these highly coveted awards. After the voting period, Rusutsu Resort once again emerged victorious fending off strong competition in both categories. Additionally, this year marks the third consecutive victory for The Westin Rusutsu Resort. Shortly after its grand opening in its first year of operation, The Westin Rusutsu Resort won the prestigious title of the World's Best New Ski Hotel 2016. （13, Izumikawa, Rusutsu-mura, Abuta-gun, Hokkaido. The World Ski Awards which was established in 2013, is one of the most prestigious awards in the ski tourism industry and often referred to as the ‘Oscars’ of the travel industry. Covering a wide variety of categories The World Ski awards see the finest ski resorts, hotels, and ski industry companies from, around the globe competing for the distinguished awards. With initial nominations announced in June, after a brief voting period the winners were confirmed in November, at a lavish awards ceremony. This year, voting opened on June 1st, 2018 and for a period of 16 weeks, the general public was able to cast their votes. Both avid skiers and ski industry officials were able to cast one vote in each distinct category. The Nominated candidates featured numerous prestigious internationally recognized resorts, such as Niseko and Hakuba. Once the voting period was over and the votes counted, Rusutsu Resort emerged triumphant in two categories. Awarded the distinction of both Japan’s best Ski Resort and Japan's Best Ski Hotel. "It is the best day of my life as the ski developer. A lot of people coming for ski tourism is here and I was given encouragement and inspiration. We constantly strive to improve our service even further.” said Kimihito Kamori, Chairman, Kamori Kanko Co., Ltd as the winning speech. The president of Kamori Kanko Co., Ltd, Hisatake Kamori added, “It is a great honor to be recognized by the prestigious World Ski Awards for the second year in a row. In the future, we aim to meet and exceed guest expectations and plan to further develop Rusutsu Resort into a world-class destination. We hope our customers continue to patronize our resort as we move forwards. The recent Hokkaido earthquake has impacted the Hokkaido tourism industry, therefore we hope this award will help to restore confidence in Hokkaido tourism. We are delighted to win the prestigious accolade from The World Ski Awards and hope to continue to strive towards further achievements in the winter sports and tourism industries. Currently, working towards attracting a new Integrated Resort (IR) development. Rusutsu Resort is the flagship Resort of Kamori Kanko, including an 830 room hotel (approximately), a large ski resort with a total of 42 km of trails, 4 unique 18-hole golf courses, and an amusement park with over 60 types of rides and attractions. Rusutsu Resort receives an impressive 12-14 meters of snow each season. The resort area is an easy 90-minute drive from both New Chitose Airport and central Sapporo, with Niseko only 40 minutes away. 14 ski lifts and four gondolas provide access to 3 mountains, 37 trails, and a total of 42 kilometers of ski runs. “The Westin Rusutsu Resort” opened for business from December 2015 as a parting of the worldwide network of Marriott International hotels and futures 210 split-level guest rooms.